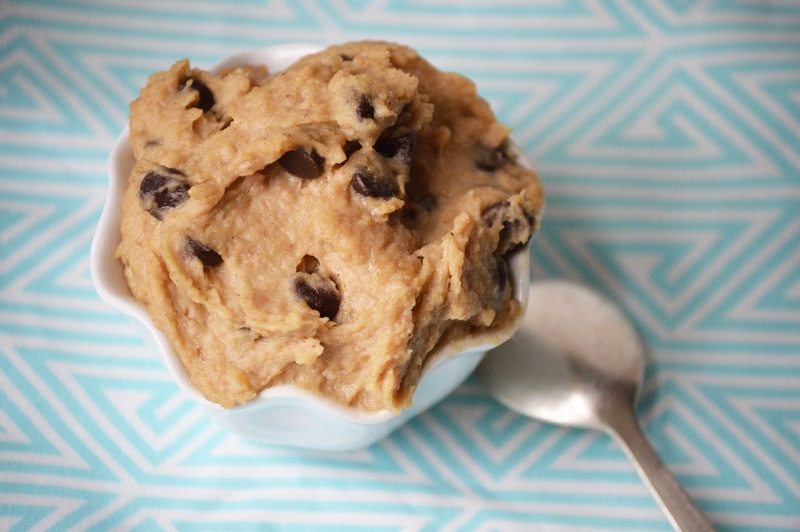 The Wholesome Foodie: Cookie Dough Dip! Happy Easter, everyone! Last year I did a few different Easter recipes on my blog. This year, I had to keep it simple with the crazy busy life I've been leading! I decided to do a simple dip to bring to Easter dinner on Sunday as a dessert. The ingredients in this recipe may not sound truly spectacular, but trust me, when they blend together, you have an AMAZING and delicious dip. 1, 15 oz. can chickpeas, skins removed and then rinsed well. The easiest way to remove the skins can be found on this video here! 1. In a food processor, combine all ingredients minus the chocolate chips in a food processor and blend until very smooth. 2. Mix in chocolate chips and refrigerate. 3. 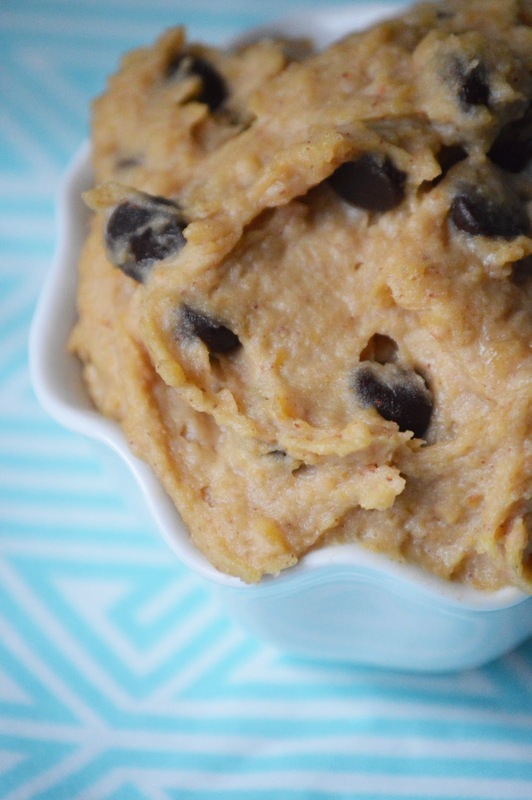 Serve with apple slices or whole wheat pita chips!